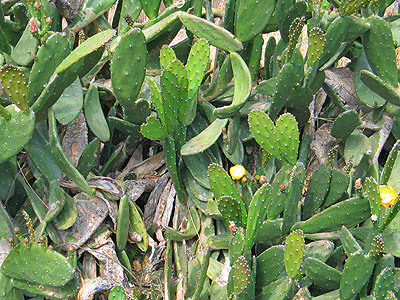 It seems there’s something about cacti that’s almost fetishistic. 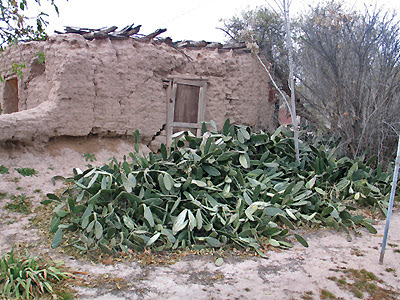 Protected species are constantly being stolen* in the desert areas around Mesilla. They have a compelling attraction for many people. 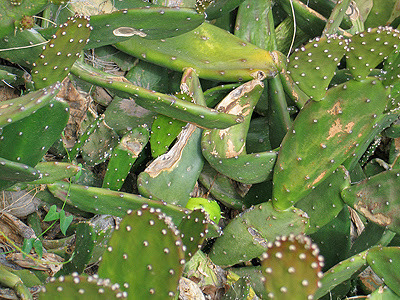 Cacti vandalism** is also fairly common. 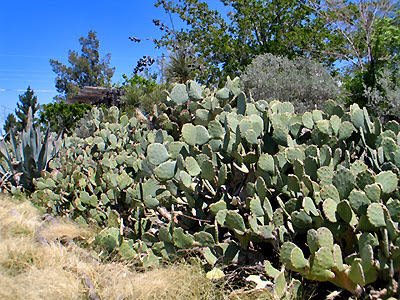 It may be something of a challenge to stomp a barrel cactus. There is no challenge to stomping a spineless cactus. 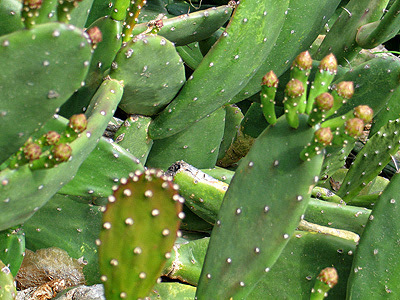 *”Cactus rustling” — an euphemism for a criminal enterprise that yields millions of dollars according to some sources. **Is there a psychoanalytic term for this? Cactiphobia? Cactiandry? Cactisogyny? Cactisadism? 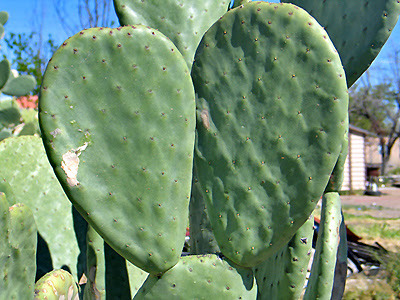 If you look around many of the older homes in the Mesilla Valley, you’ll see an odd-looking prickly pear. It’s thornless. 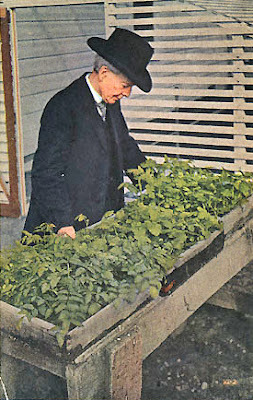 The 12 volumes of his 1914 magnum opus, “Luther Burbank: His Methods and Discoveries and Their Practical Application” is available online, includes wonderful color photos, and still makes interesting and enjoyable reading. His self-promotion, however, sometimes leads him to sound like a cross between a used car salesman and P. T. Barnum. 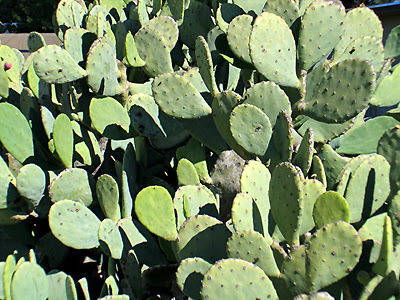 He began developing a spineless cactus in the late 1800s with the goal of producing a plant that could grow in the desert and serve as food for livestock. 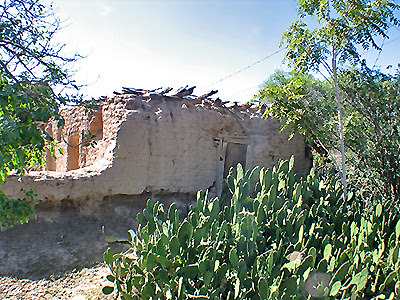 “For five years or more the cactus blooming season was a period of torment to me both day and night. Time and again I have declared from the bottom of my heart that I wished I had never touched the cactus to attempt to remove its spines. Looking back on the experience now, I feel that I would not have courage to renew the experiments were it necessary to go through the same ordeal again. 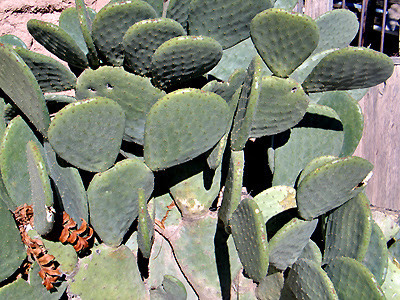 The spines on the prickly pear (and other cacti) evolved from leaves on its ancestral parent. 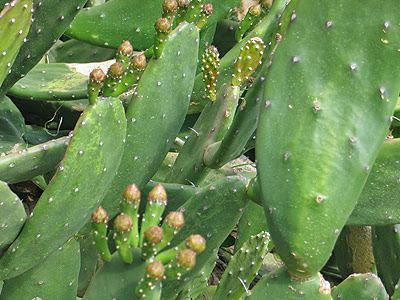 These leaves, over time, became sharp spines and acquired the capacity to detach easily when touched, a very effective defense against being eaten. What Burbank succeeded in doing with his selection and cross-breeding was to produce a plant that grew only rudimentary spines and then dropped them voluntarily. 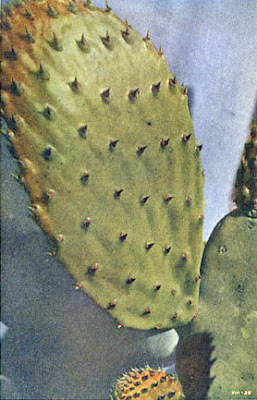 In this photo from his book you can see the vestigial leaves with the spines gone. 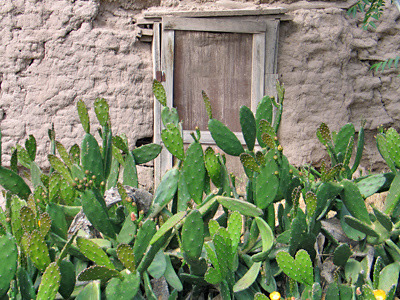 Burbank’s hopes for millions of acres of desert growing spineless cactus as animal feed was never realized, but for a while the un-prickly pear was quite popular as a landscape plant around homes in arid areas like Southern New Mexico. Someone, in an act of pure vandalism, has stomped the plant.